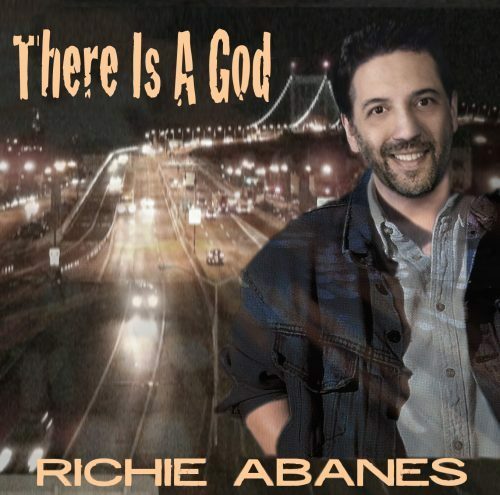 There Is a God features ten original inspirational songs offering spiritual/emotional healing, comfort, guidance, encouragement, and strength―especially for those currently going through difficult times or those who have suffered in life. Each track features soothing melodies blended with insightful lyrics based on spiritual truths rooted and grounded in God’s love, as expressed in the person and work of Jesus. Themes covered include: God’s existence, our purpose, hope, salvation, courage, perseverance, marriage, God’s nearness, prayer, and personal fulfillment. These beautifully orchestrated songs are perfect not only for special church music, but also private meditation and home Bible studies. For Christians and other spiritually- minded listeners. You see your face in the mirror. Suddenly, reality seems so much clearer. Time’s gone by in the blink of an eye; eternity is calling. Your dreams lie somewhere behind you. Now and then you wonder if they’ll ever find you. Another day is slipping away. Tears at the corners of your mind. Can give your life a brand new start. This, He died to do. Can’t you see it’s true? Jesus loves you. And He will change your tomorrow. Hope for despair and peace everywhere; light instead of darkness. His words will comfort and guide you. Through the years you’ll hear Him as He walks beside you. Turn around today and look to . . .
Can’t you see it’s true? Can’t you see it’s true? Jesus loves you. Oh, He loves you. Only Jesus can search your heart. Only He can know your thoughts. No one else can see every memory. He’ll be there―anytime and anywhere. Only He can feel your pain. No one else can hear when your soul sheds a tear. He’ll be there―anytime and anywhere. It’s so easy. Just follow where He leads you. Have no fear. Never doubt. Through all your days for you He’ll always care. Call on Him―anytime and anywhere. Only Jesus can change your life. Only He can heal your shame. No one else can share the burdens that you bear. You need to know that He’ll keep walking by your side. You’ll never see rejection in His eyes. Nothing you can do will make Him turn away. He loves you so much. You’ll be His forever. Sometimes can’t believe He’s really there for you. Where was He when you were suffering? When sorrow tore its way into the heart you guard today? God will help you understand the road on which you’ve been. Look to Him and you’ll begin to see that . . . Through it all you were not alone. Someone’s love was watching over you. Jesus can turn your life around. And make it into something so profound. Now through it all you’re not alone. Someone’s love is watching over you. Through it all you’re not alone. A driving rain is beating down on your back. You’ve lost your way, and you just can’t go on. A guiding hand that you can hold on to. You’ve got to see that you are not alone. Jesus is there. And He’s reaching out for you. Call on His name. And trust in Him. Jesus is there, always standing by your side. His love can heal whatever pain your soul may feel. Jesus is there for you. He spoke the truth. And showed us how to forgive. And then He died, so that we could live. Now there is hope. And there is joy to be found. Let His light turn your life around. Turn your life around. Jesus is there for you. Jesus is there for you. Jesus is there for you. Jesus is there. Jesus is there.